So when I went out on a search for a quote to use this week, I knew I wanted to use one of his many inspirational quotes and I found this one. 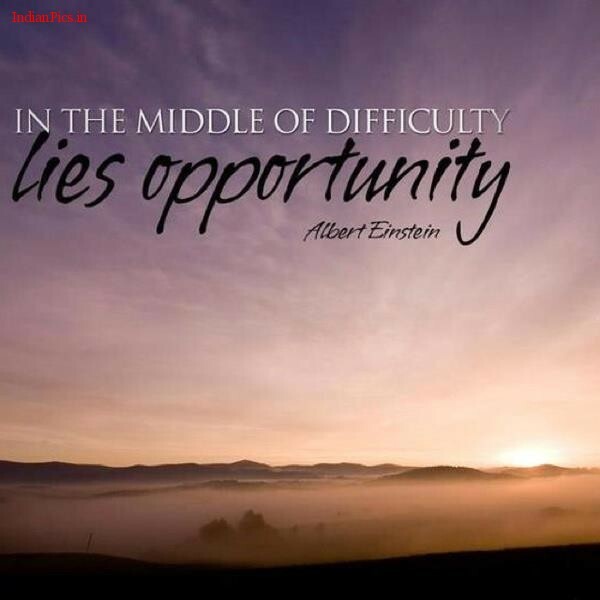 "In the middle of difficulty lies opportunity." It's normal to get into a funk and see only the negative, it's pretty much an automatic response. 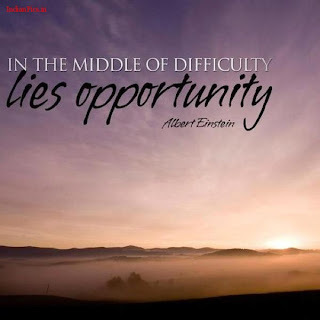 But I love that Einstein reminds us that even with hard times and troubles, there can be opportunity and even success. Applying this quote to my life, I realized that even though there are things about having CHD and PH that are awful and that I hate, I have gotten to do things, meet people and have experiences that I never would have had if I wasn't born with these illnesses. Me being sick, has given me the opportunity to learn ASL, get adopted into the wonderful family I've been adopted into, go to camp and make life long friends, fall in love with writing as a coping mechanism and so much more. Yes being chronically or terminally ill with CHD or any other illnesses gives us difficulties. But it can also give us opportunities. When you're feeling down, remember the opportunities being sick has given you. What opportunities has your illness given you? What opportunities has the illness of a loved one given them or you?